^ 3218.0 – Regional Population Growth, Australia, 2015–16: Population Estimates by Statistical Area Level 2 (ASGS 2016), 2006 to 2016. Australian Bureau of Statistics. Australian Bureau of Statistics. 28 July 2017 [26 October 2017]. Estimated resident population, 30 June 2016. ^ 澳大利亚统计局. Melbourne (State Suburb). 2006 Census QuickStats. 2007-10-25 [2007-09-26]. ^ 3218.0 - Regional Population Growth, Australia, 2011-12. Australian Bureau of Statistics. 30 April 2013 [30 April 2013]. ^ 3218.0 - Regional Population Growth, Australia, 2011 互联网档案馆的存檔，存档日期2012-08-17. ^ Melbourne. 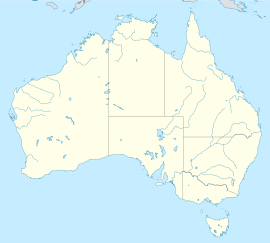 Tourism Australia, Government of Australia. [16 November 2009]. （原始内容存档于2010年3月30日）. 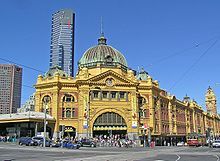 ^ Melbourne named world's most liveable city by The Economist for seventh year. Sydney Morning Herald. 2017-12-12 [2017-12-12]. （原始内容存档于2017-12-12） （英语）. ^ Commonwealth of Australia Constitution Act (PDF). Department of the Attorney-General, Government of Australia: 45 (Section 125). [11 September 2009]. （原始内容 (PDF)存档于2005年7月18日）. ^ Stopping all stations as minister backs down. www.theage.com.au. 9 September 2010 [2010-10-23]. ^ 全球最佳市长. 2006 [2008-03-23] （英语）. ^ Colliers International. Retail bricks to endure challenge from retail clicks. colliers.com.au. 2 February 2011 [20 March 2011]. ^ Melbourne – ringing in the changes 互联网档案馆的存檔，存档日期2013-03-25. ^ Metro Trains Melbourne (MTM) 互联网档案馆的存檔，存档日期2012-08-15. ^ Home. metrotunnel.vic.gov.au. [2017-11-16] （英语）. ^ Boom port to bust by 2015. The Age (Melbourne). 10 December 2011.